Use this guide to complete a CA DMV Application for Temporary Smog Exemption the right way. If your vehicle is temporarily located out of state and the California Department of Motor Vehicles has required it undergo a smog check inspection for registration renewal, you may file a REG 5103 (Application for Temporary Smog Exemption for a Vehicle Located Out of State) in order to bypass or skip the smog check requirement, temporarily. (H&SC 44011, CVC 20, 1653, 8800). The DMV will allow you to postpone the smog requirement until your vehicle is brought back to California. We will explain how to properly complete the REG 5013 to ensure it is accepted by the California DMV. We'll also give you options to file your REG 5103 online through NeedTags or to file by mail through the CA Department of Motor Vehicles. The REG 5103 has two main sections which need to be completed. These are Sections 1 and 2. The REG 5103 must be completed and signed by the vehicle's registered owner. It is important to note that there is no requirement that you accompany your vehicle out of state. It is perfectly fine if someone, e.g. a family member, friend or relative has borrowed your vehicle and has taken it out-of-state. You are eligible to apply for a smog check exemption. On the REG 5103 you will indicate the full name and phone number of the person operating your vehicle out of state. 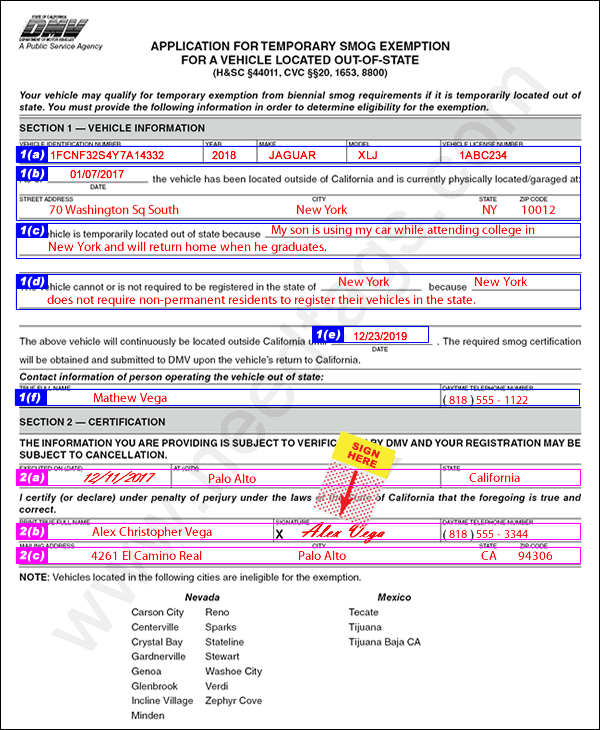 In this section of the REG 5103 you will be writing in your vehicle's details and include a summary of why your vehicle is located out of state, why it can not be registered in that state, and the date on which you expect to return back to California. You are filing a temporary smog exemption request. It is a requirement that your vehicle receives a smog inspection when it is brought back to California, even if you are just visiting and will be returning back to your out of state address. Note, upon your return or visit to California, obtain a smog inspection only if your vehicle's registration renewal is due to expire within 90 days. If you obtain a smog inspection prior to this period, it will not be valid for the following year's registration renewal. Smog certificates expire in 90 days. 1(a). On line one of the REG 5103 write in your vehicle's VIN (Vehicle Identification Number), year, make, model, and license plate number. Ensure this information is accurate. Your application can not be accepted if incorrect. 1(b). Below your vehicle's information write in the date since your vehicle has been located out of state and the address at which it is garaged. Note, a PO Box address is not acceptable. You must have a physical out-of-state address. 1(c). Give an explanation of why your vehicle is located out of state, e.g. temporary work assignment, military duty, medical and/or personal matter, attending school, ect. You are allowed to apply for a smog check exemption for any reason as long as you are a California resident and your vehicle is temporarily located out-of-state. No elaborate explanation is required. Simply write-in a brief one or two line statement. 1(d). Write-in the name of the state where your vehicle is located and an explanation as to why you are not required to register your vehicle in that state. Some reasons include, the state the vehicle is in does not require temporary residents to register their vehicles when the vehicle has valid registration in another state, i.e. California. Or, you are not required to register your vehicle in the state because you will not be establishing permanent residence or employment there. If you are unsure as to how to answer this question, you may want to look up non-permanent resident vehicle registration requirements for the state in which your vehicle is temporarily located. Most often one of the two examples above will suffice. 1(e). Indicate when the vehicle will be returning to California. The date you enter does not need to be exact. If you're unsure as to when you'll be returning to California or when your vehicle will be brought back, simply write-in "unknown". The DMV will accept the application. It is not uncommon for circumstances to arise which cause a vehicle's return date to be uncertain. We recommend entering the date using the "Month/Day/Year" format. Please note, although the DMV says they accept applications with an "unknown" vehicle return date, some applications do get rejected. We recommend mentioning a return date even if it is an approximation. 1(f). 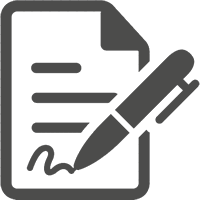 Write in the name of the person operating the vehicle out of state. If the vehicle is being operated by someone other than yourself, write-in their name. If you are operating the vehicle out-of-state, write-in your name. Include a daytime phone number for the operator. It is rare for the DMV to contact the vehicle operator by telephone, however for fraudulent out-of-state exemption investigation purposes, the DMV does require the vehicle operator's phone number. You're done with Section 1 . Take a moment to look at the Sample REG 5103 (below) to make more sense of where all the information above goes... and then we'll move on to how to complete Section 2. Section 2 of the REG 5103 is your declaration under the penalty of perjury under the laws of the State of California that the information you have provided is true and correct. Ensure that all required information is entered and that your entries are legible. We're certain you are aware of California's stringent emissions regulations. The DMV does not want any vehicle owner to be able to bypass the smog check requirement for any illegitimate reason. 2(a). Begin by writing-in the date on which you will be signing (or signed) the REG 5103. If it's today, write in today's date. Next, write-in the name of the city and the state you are currently in, i.e. at the time of your signing. Your vehicle might be out of state, but you're in California... write in the name of the California city you are in and indicate "California" as the state. If you're not currently in California and you are accompanying your vehicle out-of-state, write in the out of state city's name and the state name. Not to complicate matters, but the DMV rejects smog exemption filings all the time. You'll want to ensure your document is filled-in as accurately as possible. 2(b). Next, print your true full name and sign the REG 5103. Our recommendation for this line is that you write your name exactly as it appears on your vehicle's registration card. You might not have your registration card handy. Just remember back to whether it shows your name with or without a middle name (if you have one), and write it accordingly. If you can't remember how your registration card is printed, go ahead and include your middle name on the REG 5103 just in case. Follow this sequence... first name, middle name, and last name. Include your daytime phone number as well. 2(c). The last line to complete, and the one that is most confusing, is the Mailing Address. On this line it is recommended to write in your mailing address as it is recorded with the California DMV. Most often this is a California address unless you've asked the DMV to record an out of state mailing address instead. What we find is that vehicle owners will write in their temporary out of state address in this section instead of their California mailing address. It can be accepted, but we recommend only doing so if you're certain you can receive mail at your temporary out-of-state address and you won't be returning to California for at least 12 months. Routine DMV correspondence such as registration renewal notices, registration documents, e.g. tags, stickers, and Certificate of Titles, are only mailed to your official DMV mailing address on record. Congratulations! You're REG 5103 is complete and you're ready to submit it for processing. Let's discuss your filing options. The DMV requires you mail the REG 5103 along with your registration renewal application and payment, in one envelope. This ensures your REG 5103 is received at the correct Department of Motor Vehicles address. Upon the DMV receiving your renewal payment and application, they will forward it to their processing unit. It will take approximately 30 days between the time they receive your exemption request, and review and authorize it. Once approved, they will mail your new registration card and sticker to the mailing address on DMV record. Expect the entire process to take approximately 45 days. This may or may not be convenient for you if your vehicle is required to have current tags in the state which it's located temporarily. You may need to have someone at your mailing address forward your new registration to your out-of-state address. Furthermore, if your current registration sticker is close to expiration, you may not receive the new sticker in time and be forced to drive with expired tags. On the plus side, filing your smog exemption request by mail and through the DMV is free. To avoid the hassle of filing your smog exemption by mail, or in the case that you don't have someone available at your mailing address to forward your new registration out of state, the better option is to use NeedTags to renew your vehicle's registration and to allow us to file your smog check exemption online. When you order registration renewal through NeedTags and you email us your REG 5103 instead of mailing it to the DMV, we'll process your renewal order without a smog check and mail your new registration card and sticker to your out of state address on the same business day on which we receive your REG 5103. 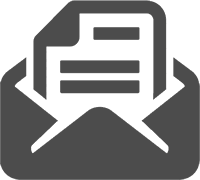 We allow you to email us the REG 5103 form, which speeds up the process tremendously. This is absolutely the best method to renew your registration without a smog check when your vehicle is located out of state. This service is especially beneficial to RVers, students, and military personnel... but really to anyone who is temporarily out of state and needs new stickers fast. Note: Smog exemptions are not allowed when a vehicle is located in Nevada. How To Order: If you'd like to file your smog exemption online, you may submit your registration renewal order through NeedTags now. Upon receiving our confirmation email, reply back with your REG 5103 attachment and we'll proceed with filing your exemption. You may submit your REG 5103 as a scanned PDF document or a photo/image taken with your smartphone. Please ensure your REG 5103 is of high resolution and cropped neatly if submitting a photo/image. If any corrections are needed, we will contact you before the filing. The additional fee for this service is $40.00. It will be billed to your credit card after you place your renewal order through our online registration renewal system. The filing fee for military personnel stationed out of state is $30.00. Ensure your REG 5103 states out of state military status as the reason for your smog exemption request. If you've already paid your renewal fees through the DMV, you will be unable to use NeedTags to process your renewal with a smog check exemption online, but may do so by phone. 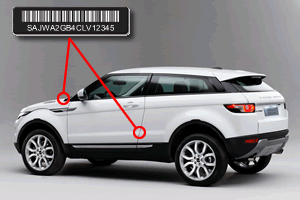 Please contact us with your vehicle's license plate number, last 3 digits of the VIN, and daytime phone number. We will provide you filing fee information as well as an email address to submit your REG 5103. We highly recommend that you process both your registration renewal and smog check exemption through NeedTags.com as this will make your smog check exemption filing much quicker. You may download a REG 5103 below. 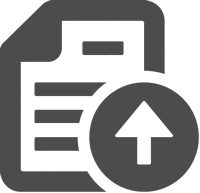 If your computer has Adobe Acrobat installed, the link will open the REG 5103 in Acrobat and allow you to complete the form on your PC. You may then print the REG 5103 and sign it. 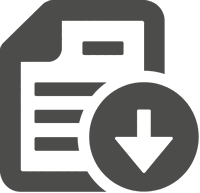 If you have electronic signature software installed on your computer, you may be able to sign the document electronically and save it as a new PDF.